Frontline health workers are the first and often the only link to health care for those who live in the developing world, such as Laos. If you’re looking for an immediate and cost-effective way to create prosperous, safe and healthy world, you need to look at the work of frontline health workers. However, the World Health Organization has expressed its concerns that we need at least one million frontline health workers in parts of Asia and Africa, and for those existing health workers, their work could be more effective and more lives could be saved if they were provided proper training and support. 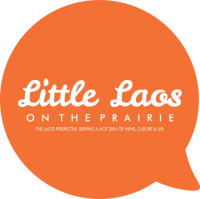 Within the Lao American community there are a number of initiatives which are underway to get some support for programs like these, and to get supplies and funding to Laos. Are they coordinated the best way they could be? This is a legitimate question. Do we have the resources to provide a meaningful, sustained effort to improve the lives of Lao and others who need access the most? From a variety of figures gathered by Save The Children, we know that at the moment, the average life expectancy for a Lao woman is 67. Compare that to 87 in Japan and 82 in the US. In Cambodia, it’s 64, in Thailand it’s 72 and in Vietnam it’s 77. It’s one of the lowest in the region. Only 2 out of every 10 children born in Laos have skilled health personnel standing by to assist. Growing up today in Laos is faced with significant challenges. 37% of Lao children are considered malnourished and underweight for their age. Over 4 out of 10 children in Laos aren’t able to drink safe water. For Lao abroad we’re faced with significant challenges. Many of us must overcome reluctance to assist, but we also have to study what are the effective ways to help. Merely sending money and supplies is not enough. We need to understand how to build a case for support and how to build an infrastructure so that Lao can help themselves. We don’t want those in Laos to become dependent on foreign aid or afraid to innovate and discover effective approaches on their own. What are approaches you’d like to see us take on in Minnesota?